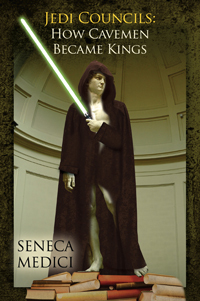 Seneca Medici’s “Jedi Councils: How Cavemen Became Kings.” You are driven. And you are determined to make all your dreams come true. You aspire to be the King or Queen of your own life…but you come from cavemen. We all do – but it doesn’t mean we have to stay in the cave. Succeed in all your challenges and take control of your own life. Previous Previous post: Find Your Niche in the Barnes & Noble NOOK Books Store!